SINGAPORE - Media OutReach - June 07, 2017 - Avnet, Inc. (NYSE: AVT), a leading global technology distributor, has been recognised for its outstanding technical and business performance at the Micron Technology Awards. 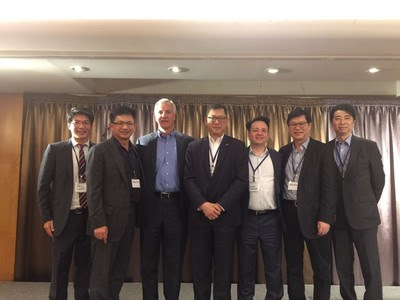 Avnet Asia Pacific picked up the 2016 Most Valuable Player and Best Demand Creation awards, while Avnet Taiwan won Best Field Application Engineers Service 2016. This marks the second year of Micron Technology’s (NASDAQ:MU) awards program which recognise distributors supporting the company’s overall business growth, success and demand creation. Micron Technology is a world leader in innovative memory solutions. Through our global brands – Micron, Crucial®, Lexar® and Ballistix® – our broad portfolio of high-performance memory technologies, including DRAM, NAND, NOR Flash and 3D XPoint™ memory, is transforming how the world uses information. Backed by more than 35 years of technology leadership, Micron’s memory solutions enable the world’s most innovative computing, consumer, enterprise storage, data center, mobile, embedded, and automotive applications. Micron’s common stock is traded on the Nasdaq under the MU symbol. To learn more about Micron Technology, Inc., visit micron.com. From idea to design and from prototype to production, Avnet supports customers at each stage of a product’s lifecycle. A comprehensive portfolio of design and supply chain services makes Avnet the go-to guide for innovators who set the pace for technological change. For nearly a century, Avnet has helped its customers and suppliers around the world realize the transformative possibilities of technology. Learn more about Avnet at www.avnet.com. admin - I am an internet marketing expert with an experience of 8 years.My hobbies are SEO,Content services and reading ebooks.I am founder of SRJ News,Tech Preview and Daily Posts.